). But he has never seen so many of the birds in one place. Hundreds of them wade through this flooded plain. They dot the landscape and fill the sky in a way that belies their precarious past. To Kudich, the scene is the embodiment of conservation done right, and he is eager to capture its scope. He gets his chance when white-tailed eagles circle overhead, prompting some of the egrets to take flight. The result is a portrait of a thriving species, icons of conservation too numerous to count. The western and southern regions of Hungary, which include this riverside spot in Duna-Dráva National Park, are one of the great egret’s most significant habitats within Europe. But if it hadn’t been for the concerted efforts of a select few, both here and abroad, the bird might have disappeared for good. A remarkable conservation success story, the graceful great egret was saved from the brink of extinction. In 1921, only 31 known mating pairs remained in Hungary. Less than a century later, international conservation efforts have triumphed. There are now more than 5,500 mating pairs in Hungary alone. At the turn of the 20th century, great egret populations dropped precipitously across the globe, most noticeably in Europe and the United States. The birds had fallen victim to a global fashion industry: Milliners sought their long and wispy white mating feathers to create the plumed hats that were so in vogue at the time. But a worldwide effort, from individuals and conservation groups alike, brought the species back from the edge of extinction. The egret’s comeback has been particularly successful in Hungary where, in the early 1900s, the threat of habitat destruction was poised to magnify hunting’s effects. A hundred years ago, there were only 31 known mating pairs of great egrets in the country. In some parts of Europe, there looked to be none at all. Today, those numbers have rebounded. Upwards of 5,500 mating pairs of great egrets come to Hungary to spend the summer, and as many as 24,000 pairs visit Europe alone. There may be more than 2 million adults worldwide. A drying lake bed in Hungary’s Danube-Dráva National Park attracts a large flock of great egrets. Great egrets, photographed here in Hungary’s Balaton Uplands National Park, are easy to recognize because of their broad white wings and slow, sweeping flight. Great egrets are skilled hunters. When searching for prey, they stalk the shallow waters or mud flats, walking with their strong necks coiled and ready to strike. In Hungary, conservation efforts began with people like Jakab Vönöczky Schenk, who was the director of the Hungarian Institute for Ornithology. Schenk worked to protect the bird from developers, who were less interested in its feathers than the land it inhabited. In 1922, government and commercial entities began draining one of the great egret’s last refuges, the wetlands of Kis-Balaton—a marshy area adjacent to Hungary’s Balaton lake. Schenk organized a national fundraiser to save this vital habitat, and today it’s one of the country’s most prized and protected birding regions. Great egrets forage mostly for fish, but their diet also includes insects, crustaceans, frogs, lizards, mice and other birds. Kudich stalks the egrets at daybreak, one of their busy times. The birds are most active at dawn and dusk, and right now they’re squabbling over food and jostling for space in the crowded floodplain. The great egret, formerly known as the great white heron, is in the heron family. And like the herons, the graceful curve of its neck retains its distinctive S shape, even in flight. Each bird stands a meter tall on spindly black legs, yet weighs only about 2 pounds. In February, when food is scarce, the birds cannot afford to lose even single small fish—and will defend their catches aggressively. These egrets come here, to Hungary’s southern marshlands, to forage for fish, insects, crustaceans, frogs, lizards, mice and even small birds. There are four different subspecies of great egret, dispersed across every continent except Antarctica. But along the Danube and throughout much of Europe, their movements are no longer as predictable as they once were. Researchers believe climate change may be causing the shift, prompting the birds to follow food availability and seek out new locations best suited for breeding and overwintering. Many of the egrets will spend summer and early autumn here on the Danube. Some remain year-round. Others will migrate to Africa, India, or even southern China when autumn gives way to winter. Like many herons, the great egret has a long neck that is pulled into an S-shaped curve when in flight. The great egret’s white feathers were once highly-sought by milliners for plumed hats. In spring, the egrets gather together in rookeries—nesting colonies of hundreds of birds that, from a distance, look like sprawling bungalow campsites. During the breeding season, the birds’ yellow beaks darken and their pale facial skin turns a bright lime green. Each male carefully chooses his spot in a tree or reed bed, drives away rivals, and starts to build his nests. Then, he begins his courtship display. Taking flight, he calls out to females nearby, neck outstretched, bill pointed skyward, delicate breeding plumage fanned out on his back. Females select a mate based, in part, on the very feathers for which the birds were hunted only a century before. The mating pairs may reuse nests from prior years, or will work together to build new ones. The female then lays up to five pale, blue-green eggs that both parents take turns incubating. Within three to four weeks, gangly hatchlings emerge. Their white, downy feathers stand on end—for the first few weeks, they look less like their stately parents and more like disheveled balls of fluff. Both parents feed the growing nestlings, regurgitating recent catches, which the young birds can swallow more easily than whole prey. Despite threats posed by pesticides and other pollutants, as well as habitat loss and climate change, the great egret’s future looks far brighter today than it did a century ago. As spring turns to summer, seven-week-old fledglings begin to leave the nest. Some of these adolescents will remain in the area throughout the winter and beyond. Others will follow their parents to warmer regions in the south when the weather turns cold. And next year, conservationists hope that ever-greater numbers will return to populate Kis-Balaton and the Danube River. Humans once nearly eliminated the graceful curves and delicate plumage of the great egret. But with concerted efforts, they brought the species back from the brink. Egret populations are now thriving in many parts of the world. And despite threats posed by pesticides and other contaminants, as well as habitat loss and a warming climate, the great egret’s future looks far brighter today than it did a century ago. Zsolt Kudich and Réka Zsirmon are nature and fine-art photographers who live in Budapest. Their ambition is to bring the fragile balance of nature to light in an artistically powerful way. Their latest project unveils the natural wonders of protected areas of Danube river. 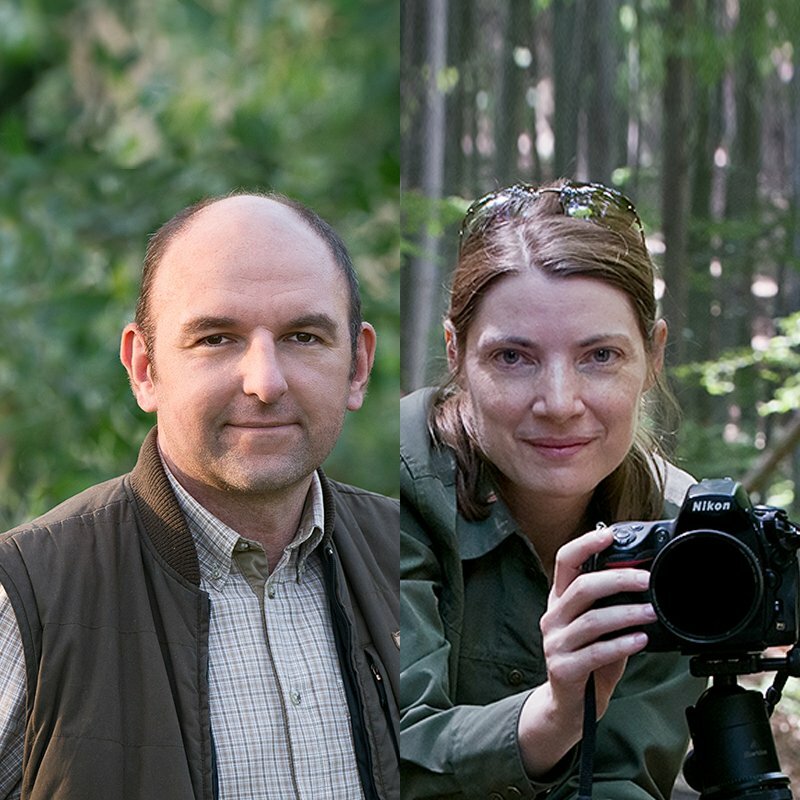 They took their photos in fourteen nature conservation areas of eight countries alongside the Danube. Their images have been published in prestigious international magazines, books, and publications, including National Geographic, GEO Magazine, Nature’s Best Photography magazine, Wild Planet Photo magazine, and the Nikon International calendar. Kim Kenny is a Master’s student in Stanford’s School of Journalism. Kim graduated from Oregon State University with a B.S. in biology and B.A. in international studies with a focus on China. 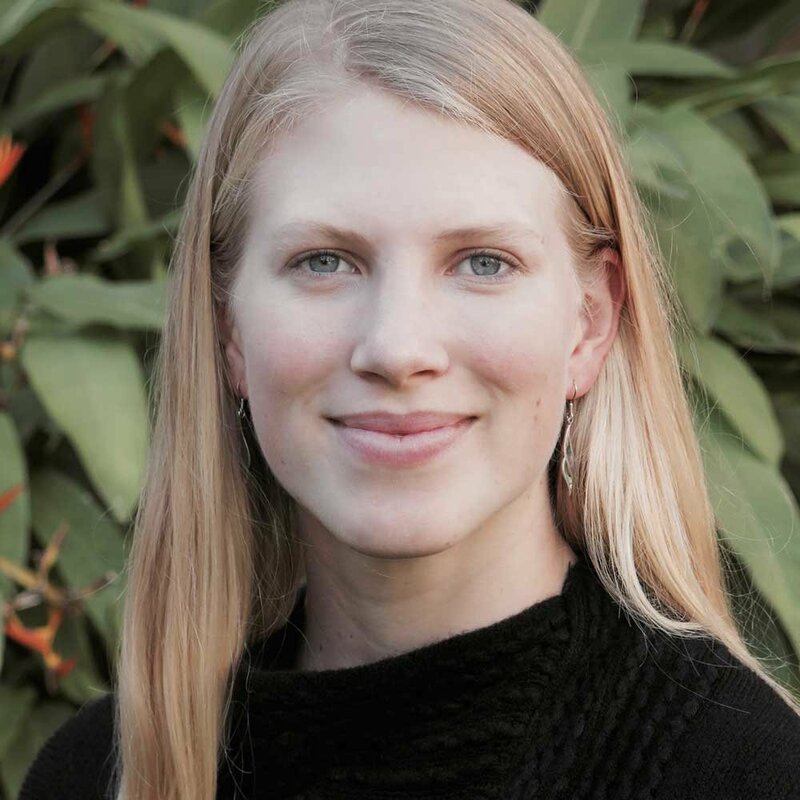 She has worked as a communications officer for the Australian consulting agency Reef Ecologic, as a science communication intern with James Cook University in Australia, and as a science writer for Oregon Sea Grant.